Searching for a coolest demo? First of all, I recommend you to install cloud instance to show the real speed of Acumatica and use Sales Demo pack of demo data. Here I will provide some ideas, what you can show. 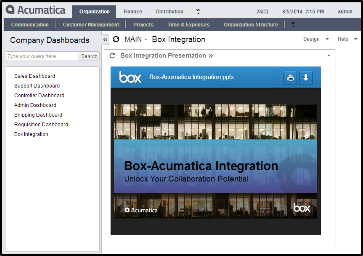 Login with multiple browsers/tabs/users – quite cool to see, how scalable Acumatica is. Show the dashboards and how easy to rearrange them. Also you can show drill-down and columns rearrangement strait from dashboard. Open any data-entry screen (like Sales Order Entry) and change the the size of browser. Users will see, how system rearrange controls depend on size of your device. Install and open Google translate plug-in and show how to translate Acumatica on the fly. Show how easy to customize grids: move columns around, hide/show columns using columns configuration wizard, add filter on the fly with Filter Editor. Go to any data entry screen and open security setting in separate tab. You can dynamically revoke and grand access to fields and containers. To show changes you just can click Cancel button. Nice thing is to hide taxes tab or disable discounts. Show how easy to create a new dashboard right from any inquire screen. Use drag and drop to attach files on the fly. Explain the idea of build-in document management system: show wiki help, files and YouTube integration. Use universal search for searching specific customers in the system. Open any data entry screen and show how to use Copy/Paste functionality to be able easily copy and past data. On the same data entry screen you can show excel integration – export detail to excel file, modify them and upload back to system. Create new task (with enabled reminder) and show different ways how user will be notified about new task: email notification, dashboard notification, reminder. Discuss build-in email processing server. On example of standard report, show how easy you can modify it. 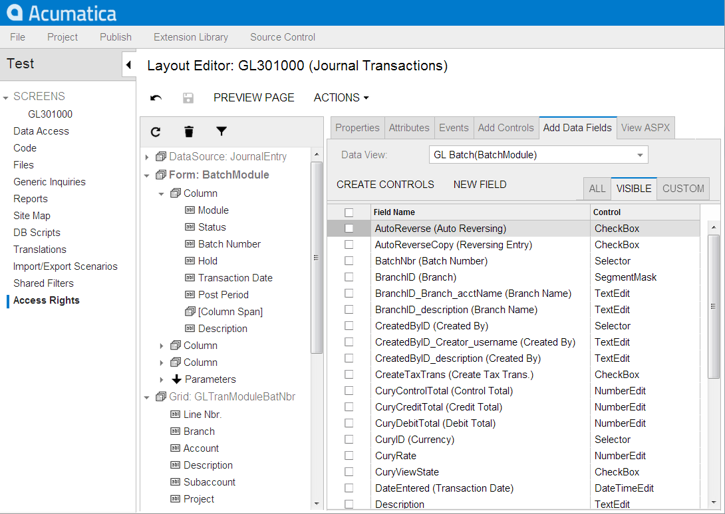 Show the Acumatica Report Designer and do small changes. On example of Analytical report show the drill-down possibility (Good example can be done with Profit & Loss Rolling 12 Month Report). 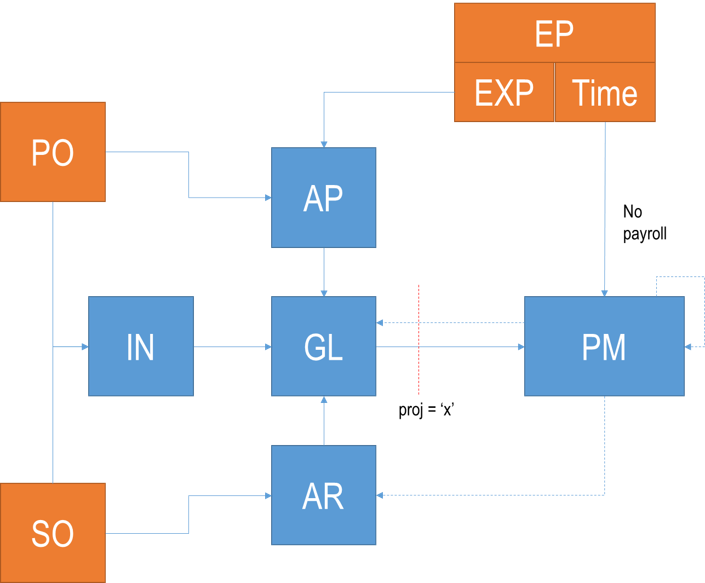 Also show how user can do consolidation based on unit sets. Show Generic Inquiry example based on Invoiced Items predefined GI. 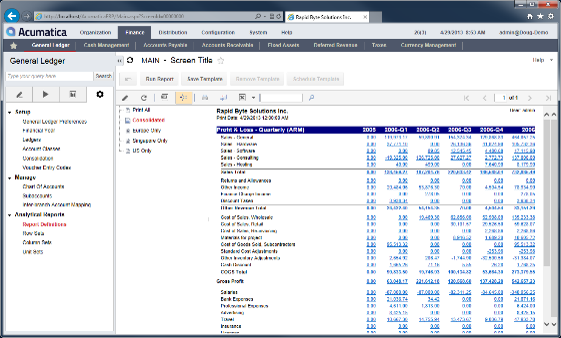 Also you can create a new one with General Ledger transactions and filter something. B2B portal. Show separate portal, that is designed for customers. Show how case/bill creation on portal reflects inside ERP system. Explain the idea of Mobile Framework. Show demo with creating expense claim on the fly with attaching photo of receipt. Setup and show Exchange/Outlook integration. 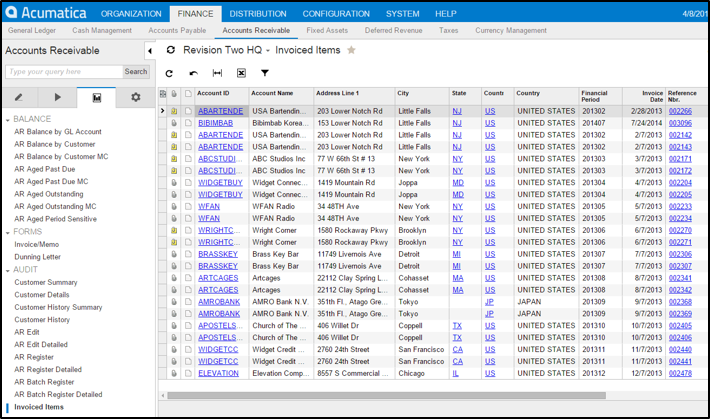 Base on “Invoiced Items” GI you can show OData integration with Microsoft Excel. 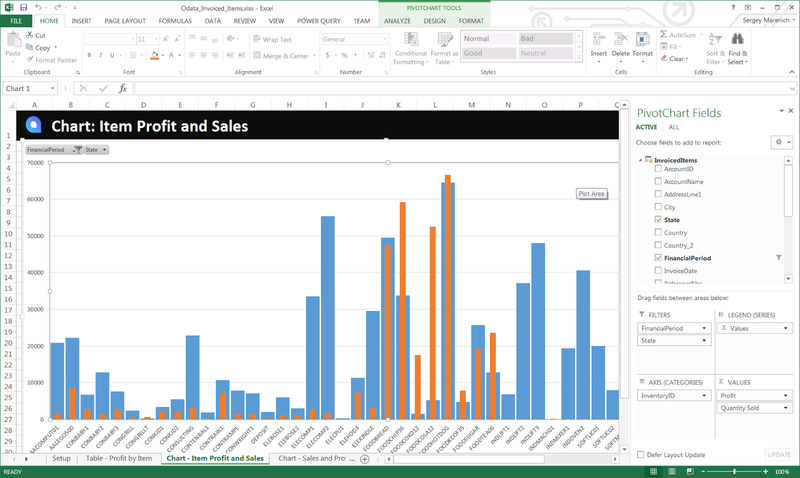 Create a pivot chart and show analytical possibilities of Excel with Acumatica. 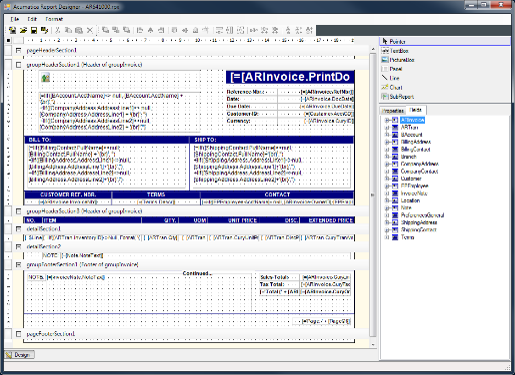 The example excel file is attached to the “Invoiced Items” GI in Sales Demo database. 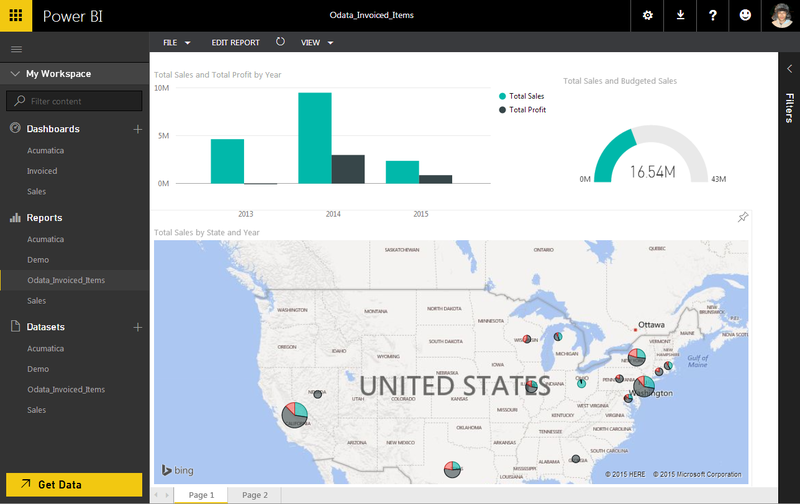 Based on the same GI you can do a amazing demo with power Microsoft Power BI. Now Power BI has a special build in connector to Acumatica ERP System. Show how easy it to move controls around. 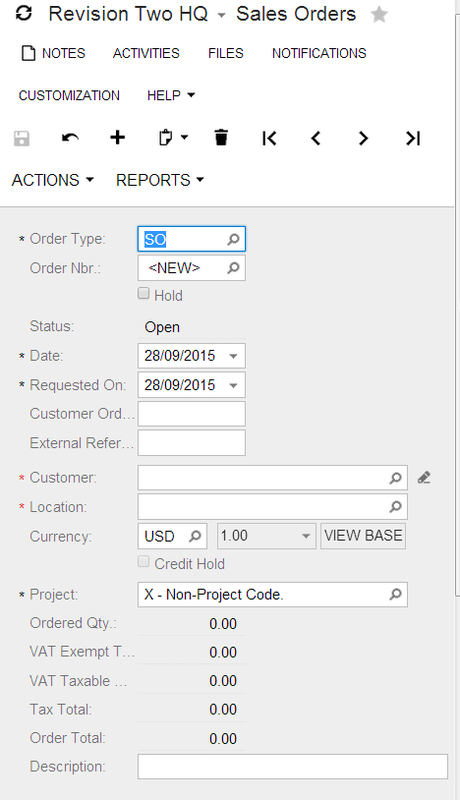 Add additional field to Sales Orders screen. Explain Visual Studio Integration, Strait Forward upgrade process, super easy deployment process. Show how easy is to create an extension project with Visual Studio.